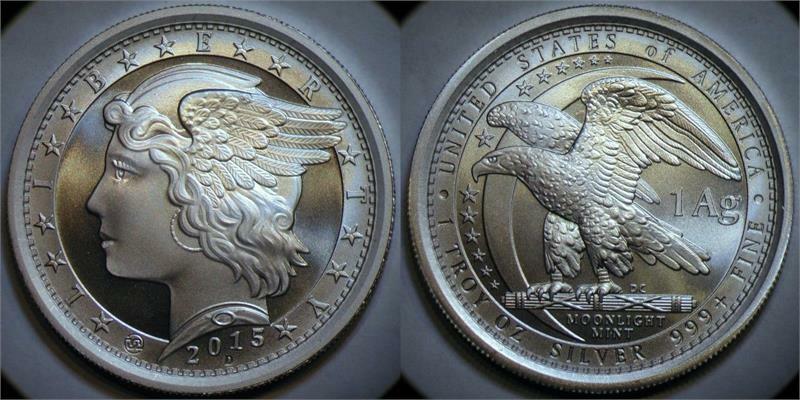 Private-Issue Trade Currency Token. 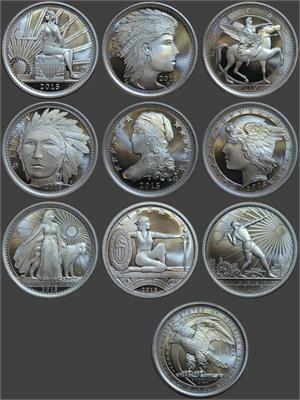 Set of 9 different designs as shown. 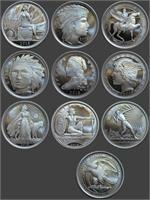 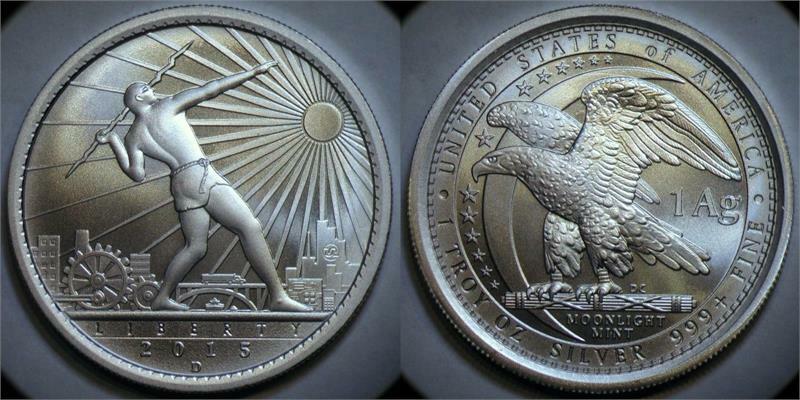 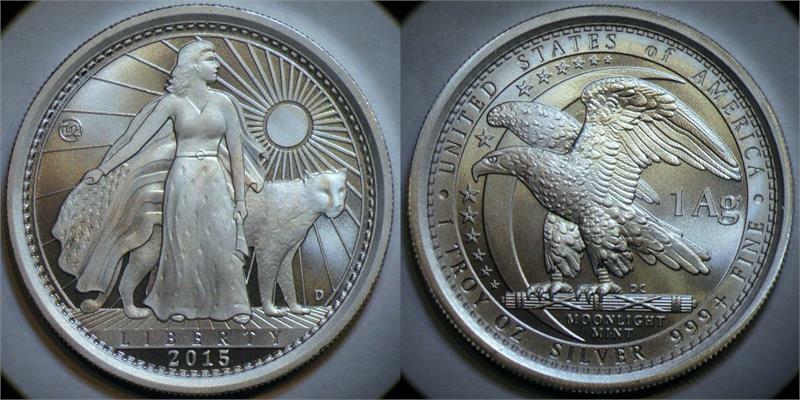 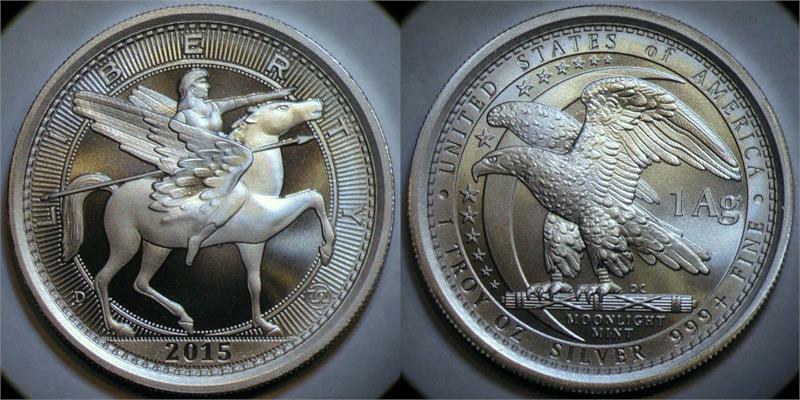 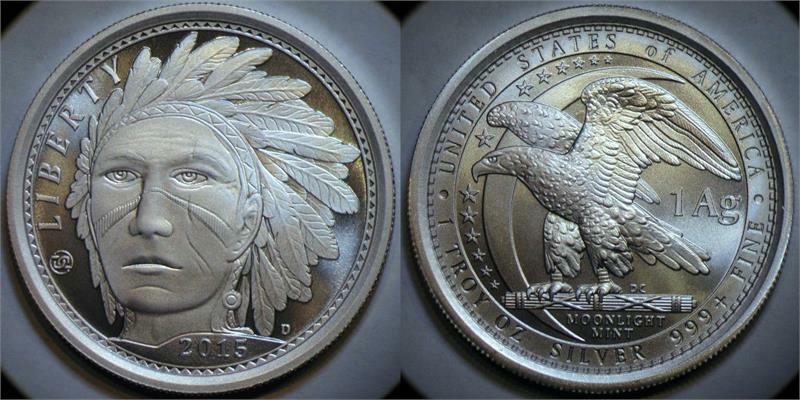 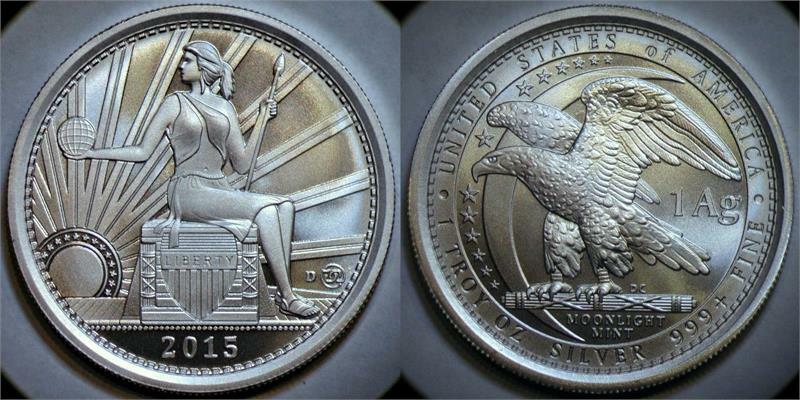 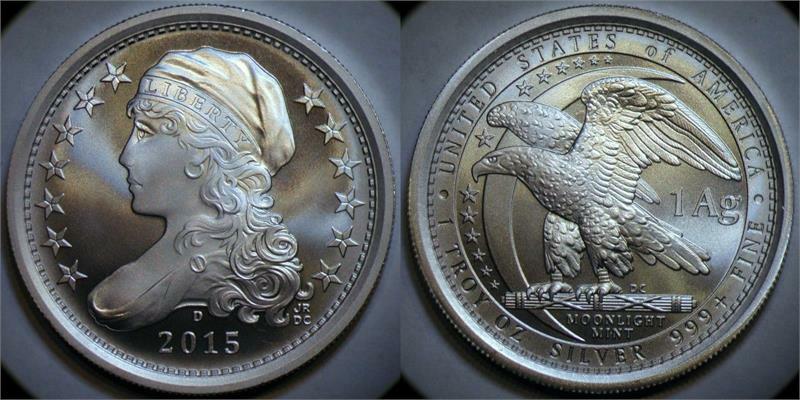 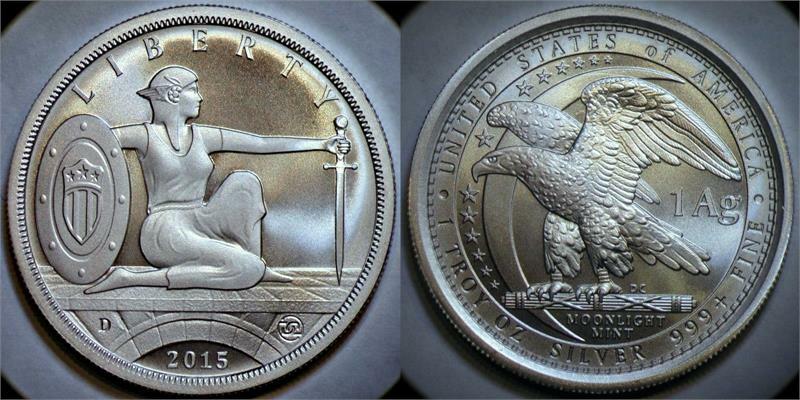 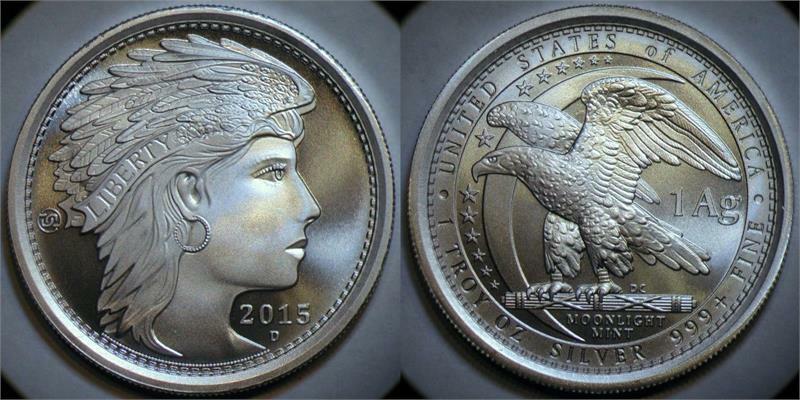 All have Moonlight Mint "1Ag" Eagle reverse.